The fourth of July means a lot to me. The birth of a country. The beginnings of freedom. And being able to celebrate the holiday with friends and family makes it extra special. 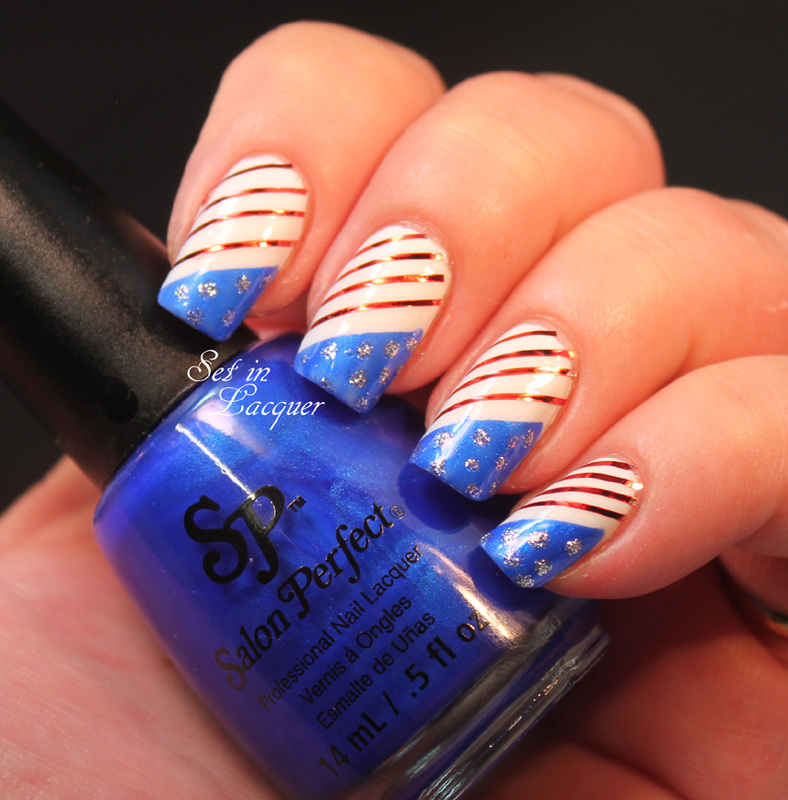 So I usually try and create a patriotic mani. But time is limited lately, so I couldn't go all out. 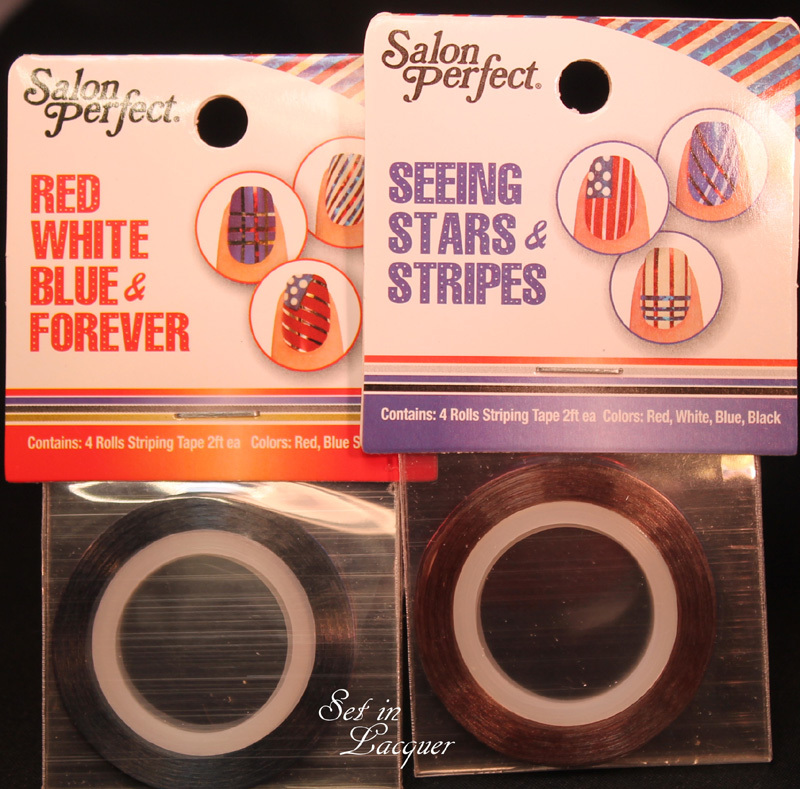 But the new collection from Salon Perfect makes it easy. Salon Perfect has been busy lately and they just keep knocking them out of the park. They have released the Paint the Town Red, White and Blue collection. This affordable and stylish collection is available at Walmart and has six gorgeous polishes and nine topcoats. I have already posted some of the collection here and here, so let's take a look at the rest of it. 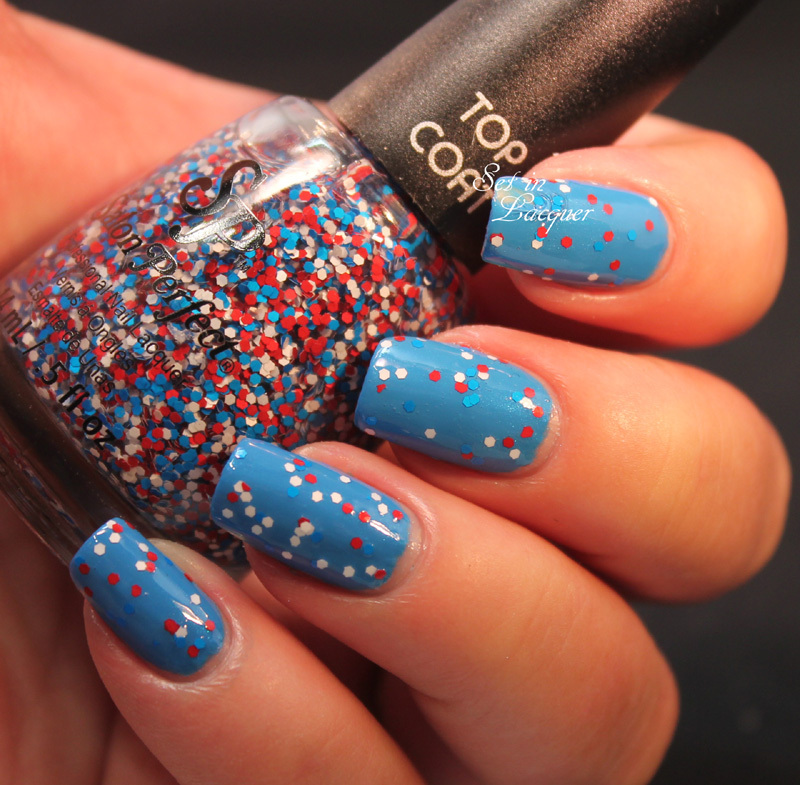 Boom Boom Boom is a red, white and blue confetti of small matte glitters. It applied easily and the glitter spread evenly. I have it on here over Sugar Cube. Fool's Gold is a rich multi-shape and size glitter. It applies wonderfully and spreads evenly. I have it on here over Blue Ribbon. Grand Finale is a red, silver and blue bar glitter top coat. I have never figured out the trick to applying bar glitter. But this seemed to go on well. I have it on here over Wild Blue Yonder. 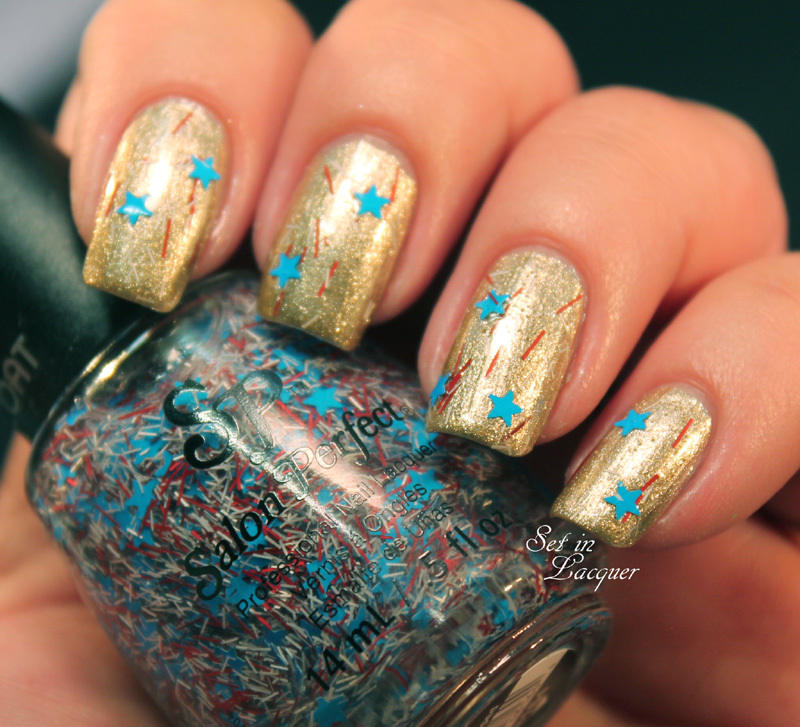 Stars and Stripes has small red and silver bar glitter and blue star glitter. It applied well, although I did have to shift the stars around a little. I have it on here over Gold Leaf. 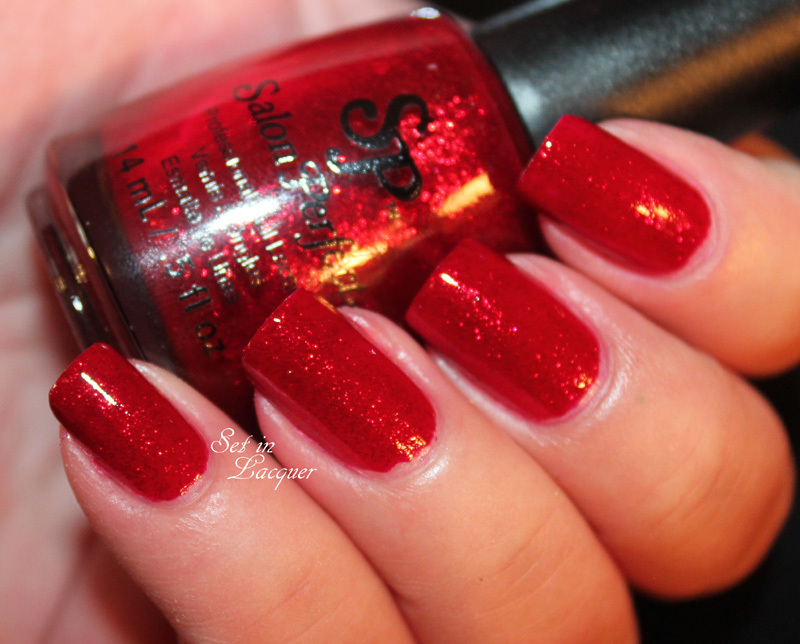 He's With Me is a gorgeous shimmery cranberry red polish. The shimmer of the microglitter is amazing. It's one of those "lit from within" looks that I love so much. This is two coats with a top coat of Crystal Clear. 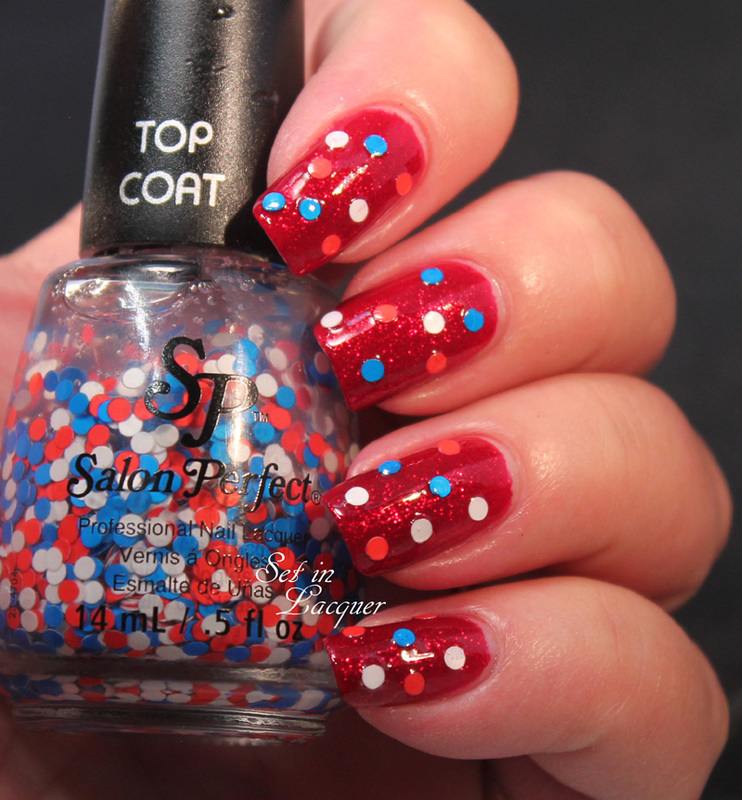 Save Me a Spot has red, white and blue round glitters. I had to fish for the glitter and move them around a bit. But I love the way it looks over He's With Me. 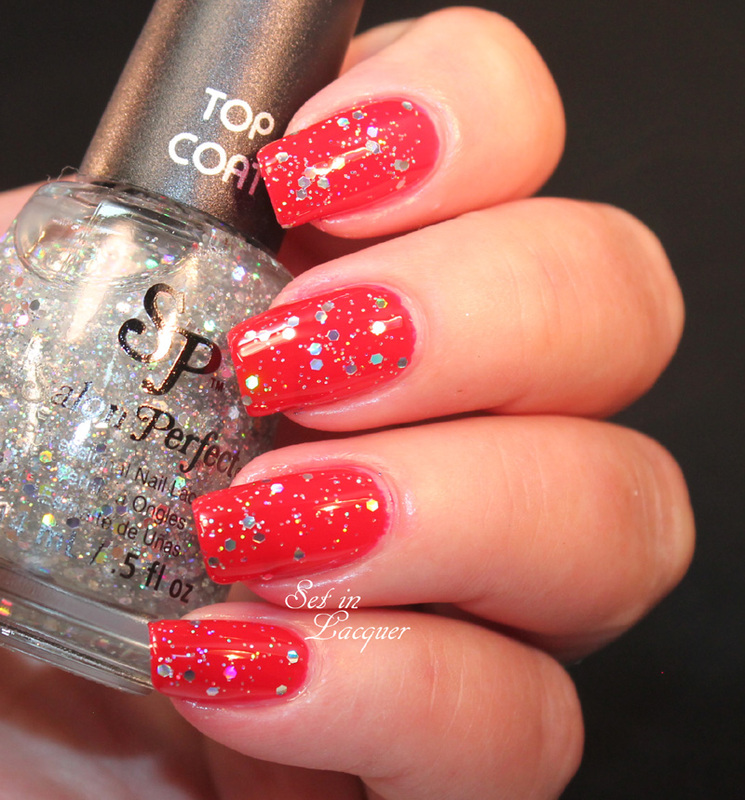 Silver Sparkler is a great topcoat. It has multi-shape and size holographic silver glitter pieces. I had no issues with application. I have it on here over Paint the Town Red. 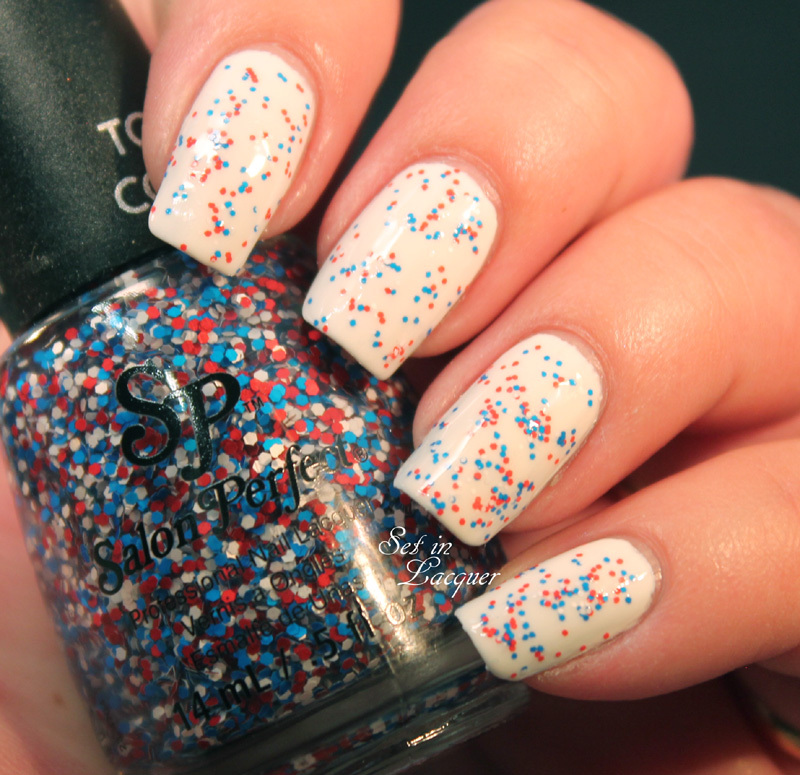 Speck-tacular has red, white and blue small round matte glitters. It applied well. I have it on here over Wild Blue Yonder. These polishes retail for $3.98 each, making having a awesome July 4th mani affordable and easy. To get the latest Salon Perfect information and stay up-to-date on releases, follow them on Facebook, or on Instagram - @salonperfect. Time keeps whipping by me. The summer is going to be gone before I know it. But I intend to enjoy every last second of the summer. And Salon Perfect is making it quick and easy with their new products. I used Sugar Cube, Blue Ribbon and Twinkle Twinkle for this nail art. I also used Salon Perfect's nail art tape. I started of with Sugar Cube, which is an amazing white cream polish that is the perfect base for nail art. Then I used scotch tape and applied a diagonal blue section on my nail using Blue Ribbon. Blue Ribbon is a deep shimmery navy blue. Then I used the nail art tape for the red stripes and added dots of Twinkle Twinkle for the stars. Sounds easy doesn't it? It really is. The dotting tools and nail art brush are sturdy. They are also affordable at $3.98. The striping tape is great too. You get four rolls of tape for $1.98. The hardest part of using nail art tape is when you lose the end of the tape. It is almost impossible to find the end of it again. Let me show you what I use to combat the battle of the ends of the tape. 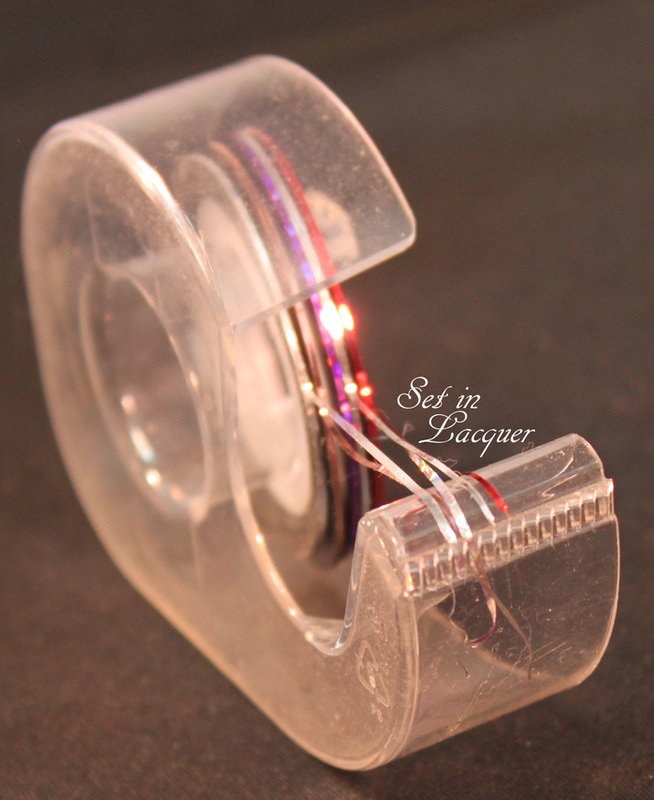 Yep, it's just an empty scotch tape dispenser. I have used mine a lot and it's pretty scratched up. But it still works great. I still use scissors to cut the tape as the edge isn't sharp enough to cut the thin tape. But it sure makes it easy to find that illusive loose end of tape. These polishes retail for $3.98 each, making having a awesome July 4th mani affordable and easy. Watch for more of the collection on the blog. 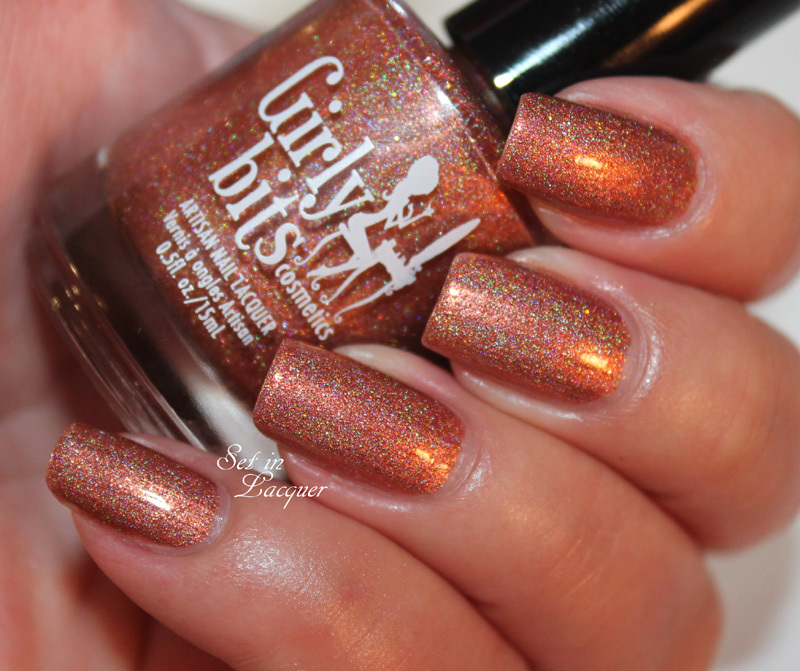 I have some amazing polishes to share with you today from Girly Bits. 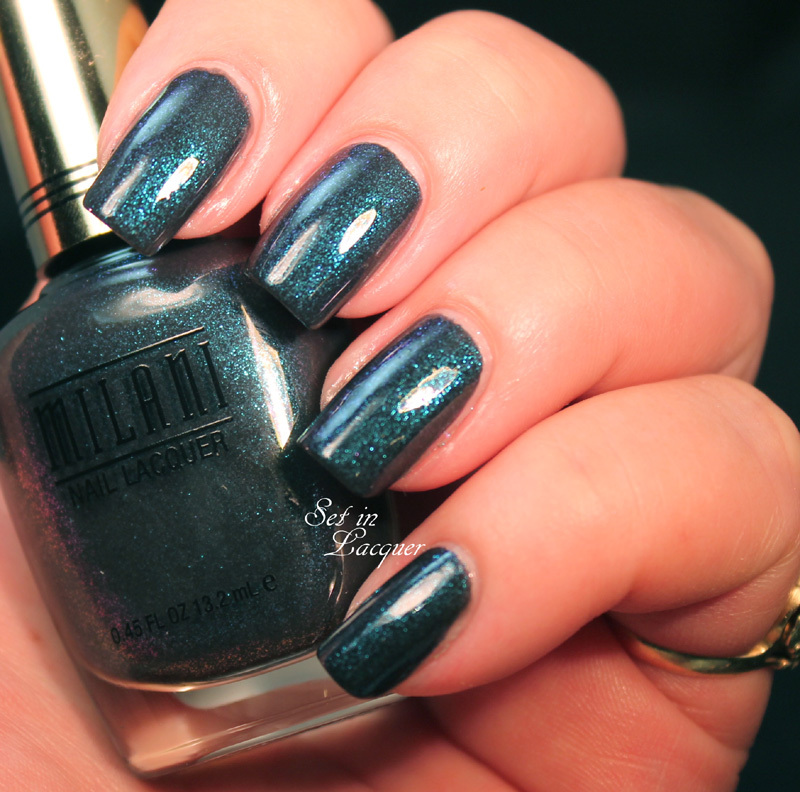 These polishes from the 80s Girl Bands Collection are stunning. 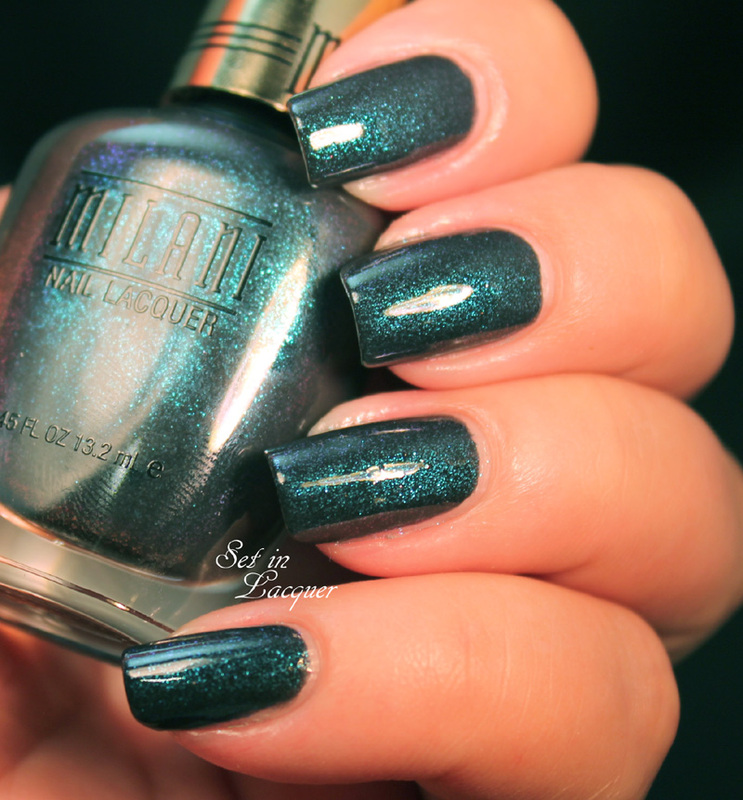 Pam has a way with polish and if you haven't tried this brand, you should. 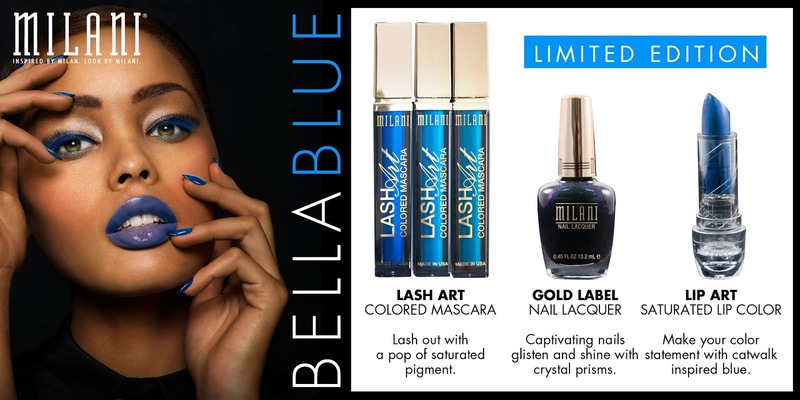 Like her other collections, these have an amazing formula and are a dream to apply. 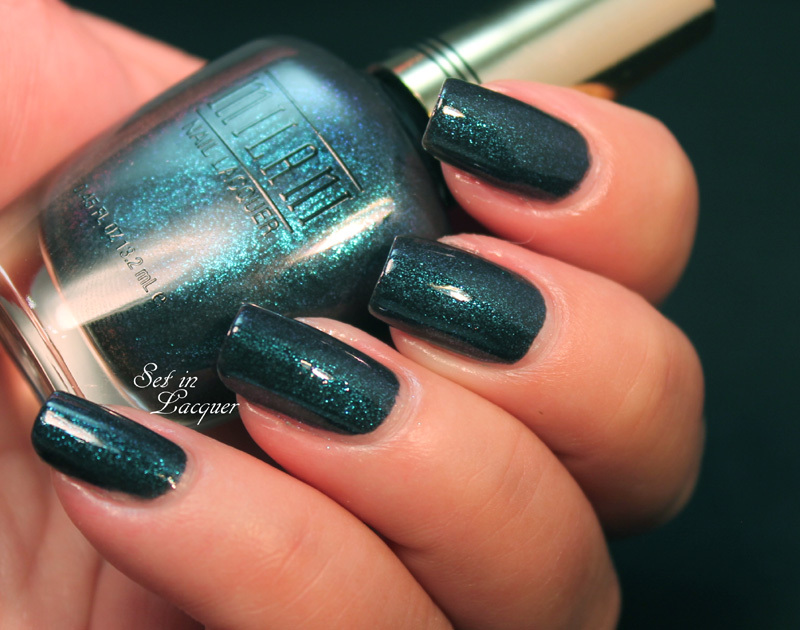 This scattered holographic polish is a rich copper shade that shimmers with a rich smoldering sheen. This is two coats with a top coat. This scattered holographic polish is a deep blurple shade (It's not really blue... and it's not really purple...) that is sure to be an eye catcher. 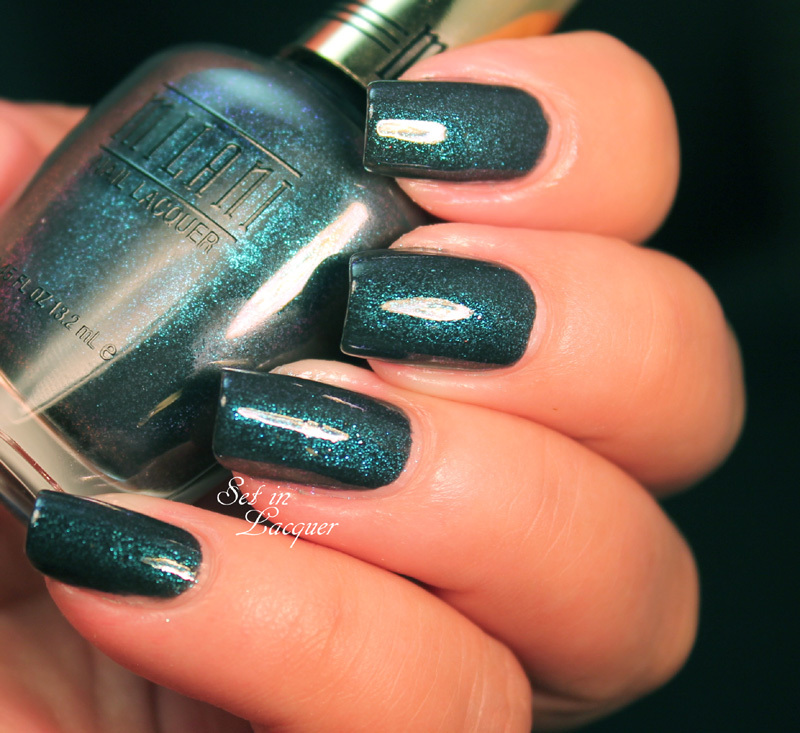 It has strong shimmers of an iridescent blue. This is two coats with a top coat. 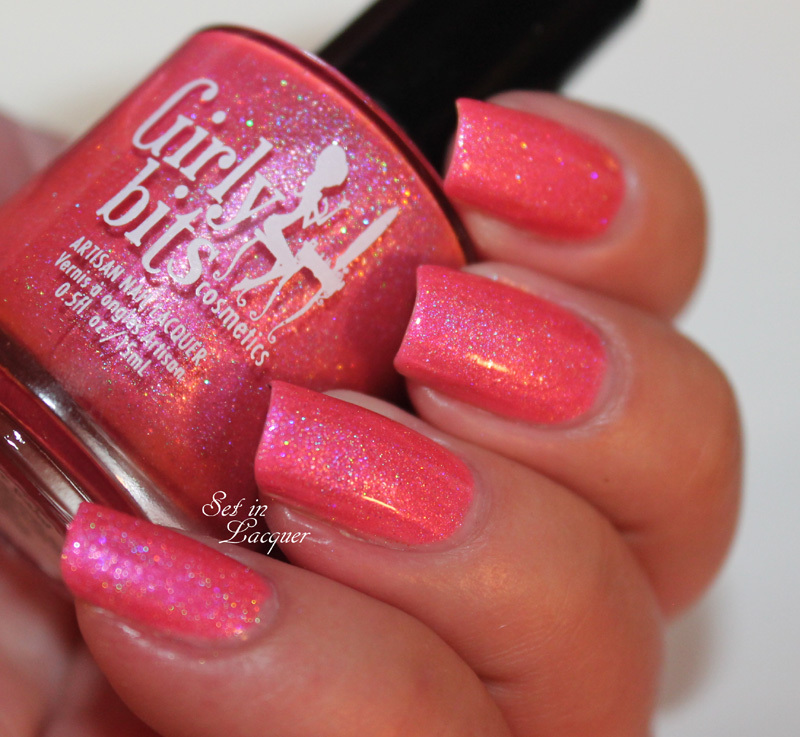 This scattered holographic polish is a vibrant pink shade that shimmers like a disco ball. Who doesn't love a bright vivacious holo pink? This is two coats with a top coat. 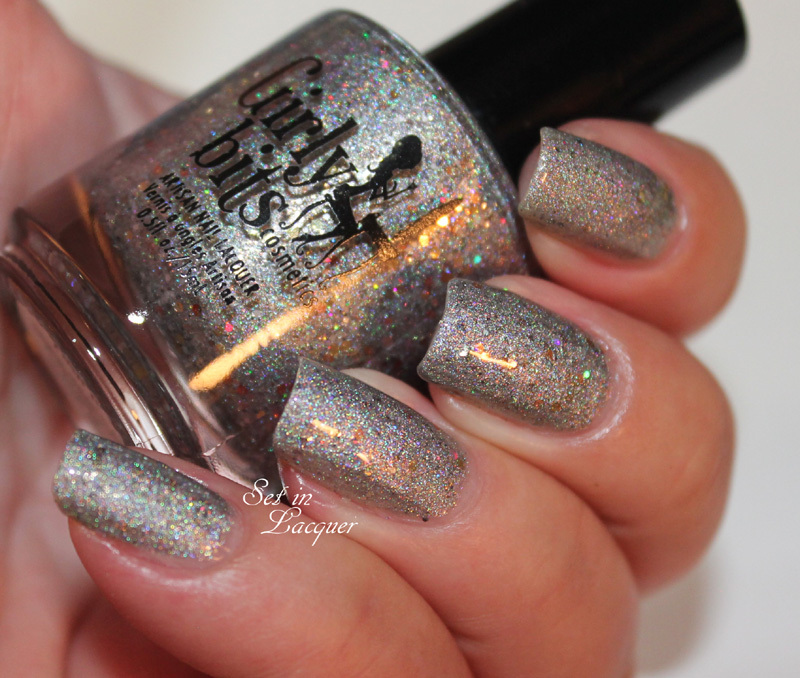 This scattered holographic polish is a slate gray/silver that seems to shift in front of your eyes. It has holographic glitter in it that simply adds to the overall complex appearance. This is two coats with a top coat. This scattered holographic polish is a light lavender shade that has holographic glitter particles to catch every ray of light. This is two coats with a top coat. 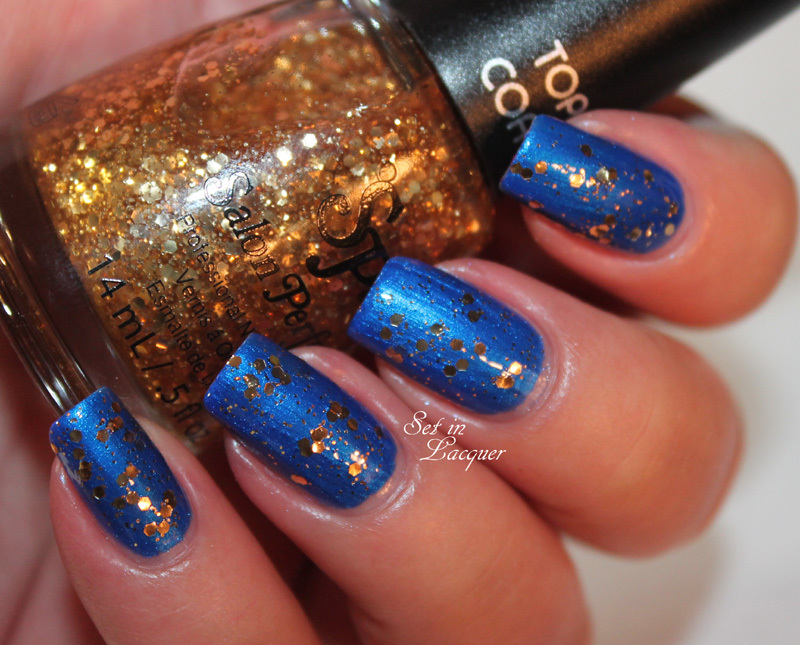 This scattered holographic polish is a rich golden shade that shimmers like golden treasure. This is two coats with a top coat. or authorized distributors. 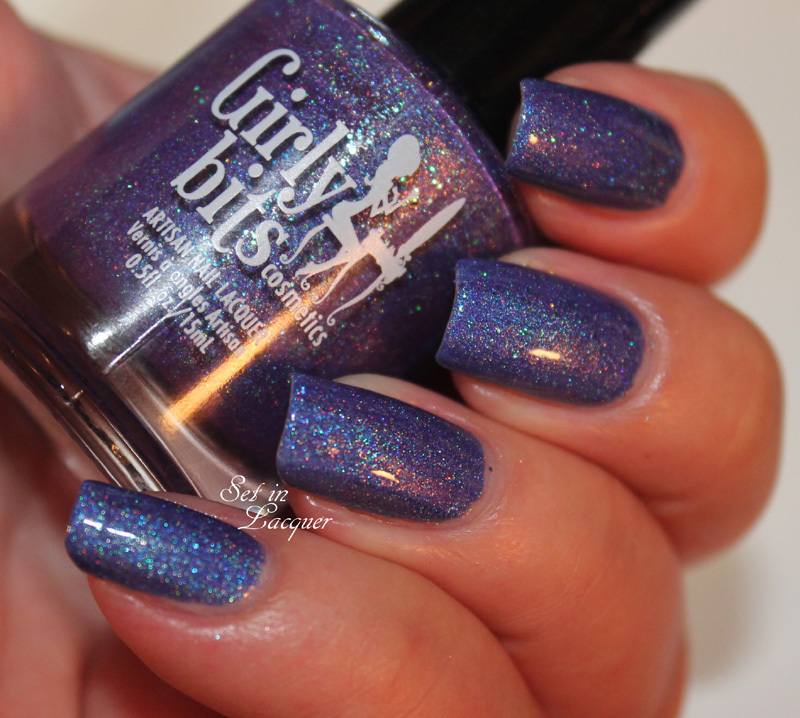 Girly Bits Nail Lacquer is carried worldwide. Please check the Authorized Distributors below to shop for your favorite Girly Bits Nail Lacquer. Visit the sites below for product availablity, release dates, pricing and shipping information.